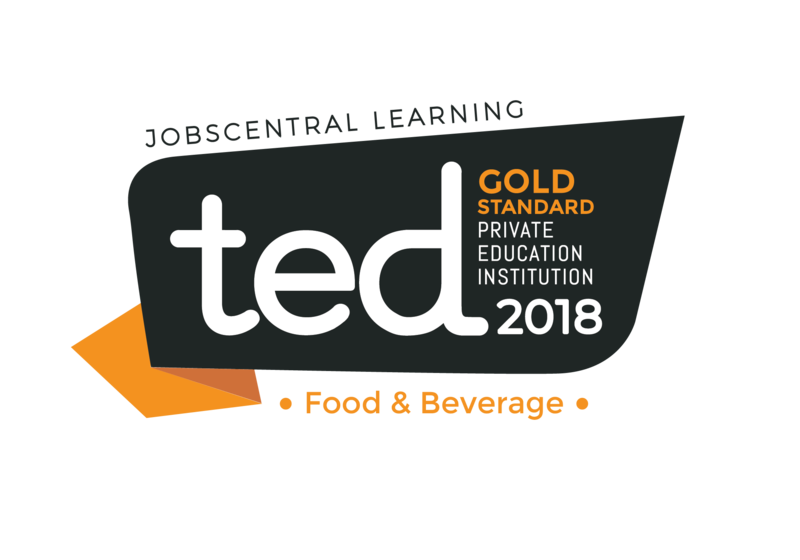 It is truly an incredible honour and pleasure to be the recipient of the Gold Standard Service Provider Award for Private Education Institution in Food and Beverage presented by JobsCentral Learning, Singapore. This incredible milestone sets the direction for our strategic approaches and celebrates our success as a student-centric institution with a distinguished reputation for high-quality teaching. 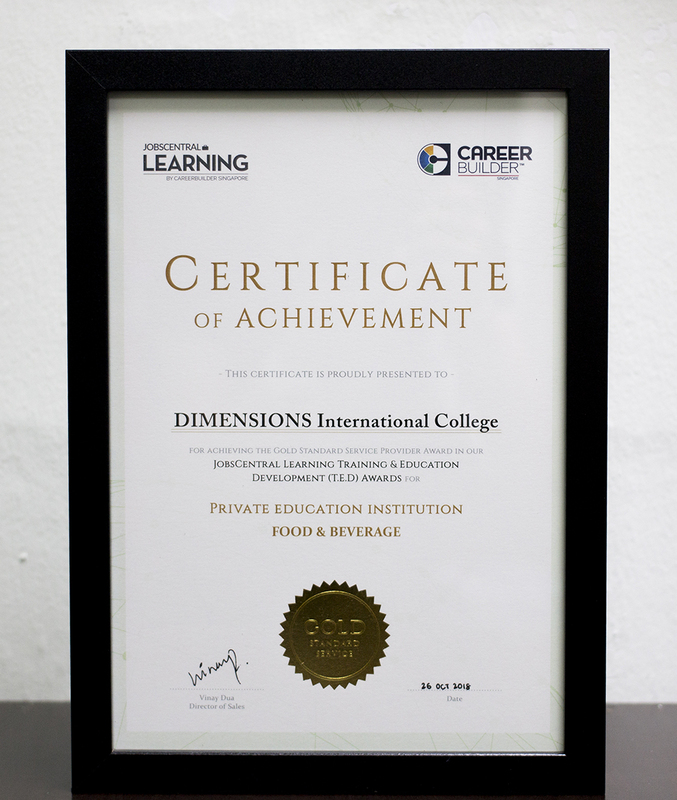 Underpinned by our strong sense of commitment and dedication to supporting the all-round development of our students, DIMENSIONS creates new and diverse academic pathways, aligned with our institutional goals, to adequately prepare them to meet the exciting challenges associated with the thriving F&B sector. To help students acquire an in-depth knowledge of the essential meal and wine service techniques, practical classes are conducted at our well-furnished training bar and restaurants to ensure that they are competently trained by our seasoned F&B trainers.